Heart Matters The Natural Way to Support Healthy Blood Pressure! Maintains Healthy Blood Pressure Levels Already within the Normal Range Dietary Supplement Purity, Safety & Performance - Laboratory Tested Take the Pressure Off Naturally! 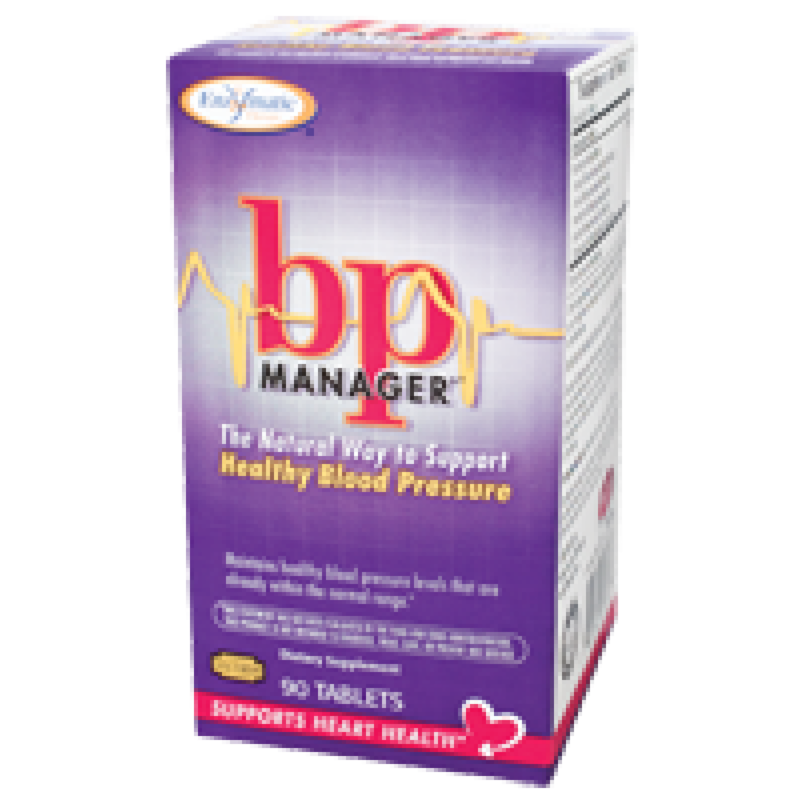 Take control with BP Manager supplement! Your first step for maintaining healthy blood pressure, naturally. 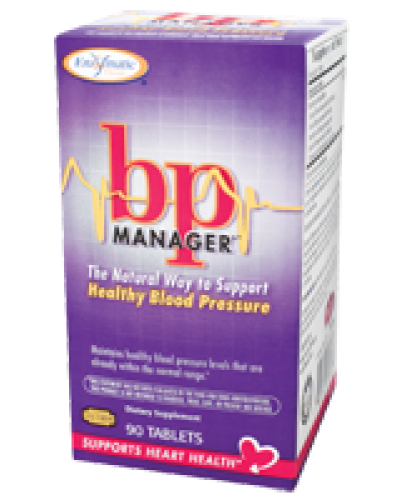 Supporting healthy blood pressure can be a delicate balance, so BP Manager was developed to address many of the factors that affect blood pressure levels in your body. The clinically-studied ingredients in this formula support heart and circulatory health. Stevia leaf extract	Supports healthy blood pressure levels according to clinical studies. Hawthorne extract	Supports the heart and balances sodium and fluid levels. Olive leaf extract	Scientifically shown to support healthy blood pressure. Dandelion leaf extract	Helps reduce fluid retention. Lycopene	Clinically shown to support arteries, circulation and heart health. Cellulose, modified cellulose, modified cellulose gum, magnesium stearate, vegetable juice color, soy lecithin, and carnauba wax. Contains no sugar, salt, yeast, wheat, gluten, corn, dairy products, artificial flavoring, or preservatives. All colors used are from natural sources.